If this is the year you plan on financing a new car, you’re probably wondering how to go about it. 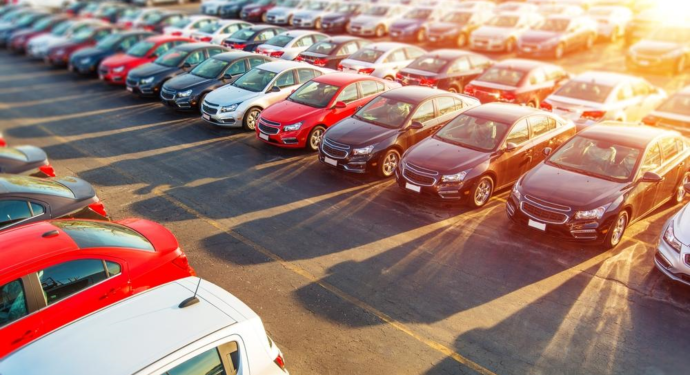 You may have already heard of leasing for a new car purchase, but have you considered a novated lease? Novated leases help you finance that new car you’re dreaming of while spending less tax and protecting your bank balance. Here’s what you should know about novated leasing and why you should consider taking out a novated lease in 2019. Put simply, a novated lease lets you use your pre-tax income to pay your vehicle lease. How? By introducing a new party–your employer–to the purchase agreement with your fleet provider. Your employer pays your vehicle payment for you via salary packaging. But how does a novated lease benefit you, and why should you be considering it? Since you’re making novated lease repayments before tax, you’re lowering your taxable income. You’re also making your salary stretch further–instead of making a repayment with what’s left of your salary after tax, you’re saving money every month. Fuel costs and running costs come straight out of your pre-tax salary. What does this mean for you? You pay the same amount for your fuel each month, no matter whether the cost of petrol rises or falls. The higher the price of fuel, the more you’ll save. Your fuel card includes a fleet discount and, since you pay for fuel using pre-tax income, you’ll never need to worry about fluctuating fuel costs for the duration of your novated lease. Much like fuel costs and running expenses, your repayment amount stays the same every month. Lease payments are fixed at the very start of the agreement, and your employer pays them for you. You don’t need to worry about budgeting for car payments. Your fleet provider will manage your servicing requirements, too, so there’s no need to worry about repair costs. Less hassle, more money saved for you! Novated leases improve your net income figures, so you’ll have better access to finance. This helps you with long-term financial planning and financial commitments, such as home loans. Novated leases take a heavy financial load off your mind by making your employer responsible for your lease payments and running costs. Now, your post-tax income is freed up and unburdened with car maintenance costs or repayments. A typical novated lease runs for two, three, or five years. Since novated leases are flexible, you can change your car when the lease expires. You can either repay the sum that’s outstanding and keep your current car or exchange the car for a new one. Often, you can transfer your novated lease to a new employer, but this should be discussed in advance. What’s more, you can use your car for whatever journeys you want, be it personal or business-related. There are no use restrictions. If you’re looking for a flexible, reliable loan structure, you won’t get better than a novated lease. The great thing about a novated lease’s flexibility is that you won’t need to worry about depreciation. You’re not financially committed to a vehicle for any more than two or three years if you don’t want to be, and this helps to ensure that your next vehicle comes complete with the latest safety and quality specifications. No need to worry anymore about selling your car and getting a fair value back–novated leases take care of this concern for you. To find out more about novated leases and salary packaging, contact Easi today.